Your best friend for the mountains! 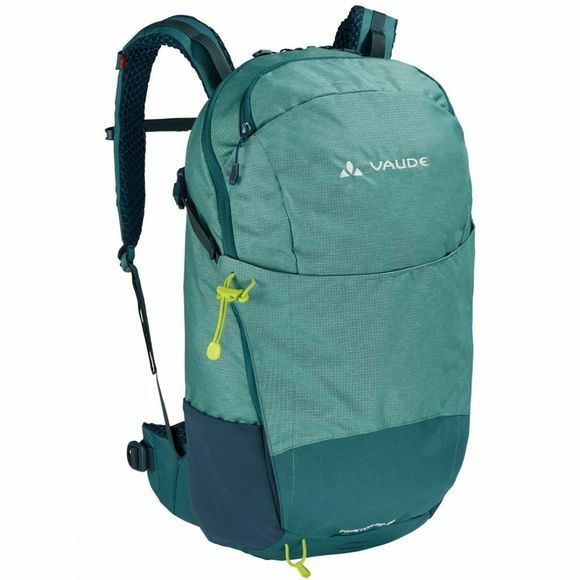 This pack offers enough space for compact hikes and mountain tours, is user-friendly and will remain true wherever you go, even beyond the mountains. 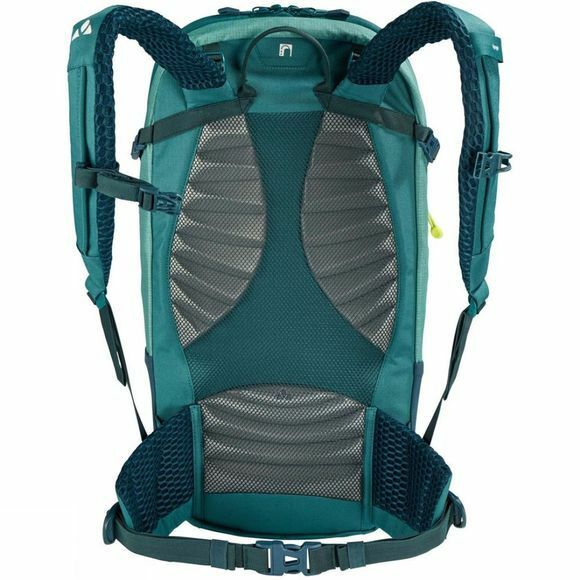 The Prokyon Zip 20 has a sophisticated suspension system (Vent Active Hike) that provides maximum freedom of movement for hiking and mountaineering. The Prokyon 20 Zip also features practical details such as a compression system, an attachment point for a bike safety light, a compartment for your tablet or hydration bladder as well as an extra compartment for valuables. It also has an integrated rain cover for unexpected rain showers. The VAUDE Green Shape label stands for environmentally-friendly, functional products made from sustainable materials.